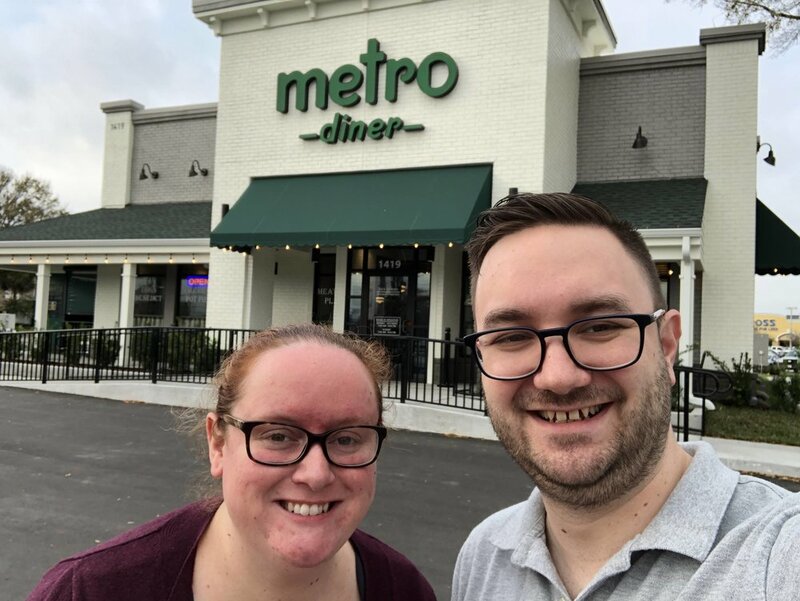 We’ve been waiting and waiting and waiting and waiting, quite impatiently, if that wasn’t obvious for Metro Diner to open their Casselberry location, and it’s finally open! On the first official day they were open we went for breakfast before work, that’s why we look like we’ve never taken a selfie before in the picture above. We shared a western omelette with hash browns and a waffle. This last trip to Metro we both tried menu items we had never tried! Look at us being all adventurous. Christopher tried the Bold City Burger. 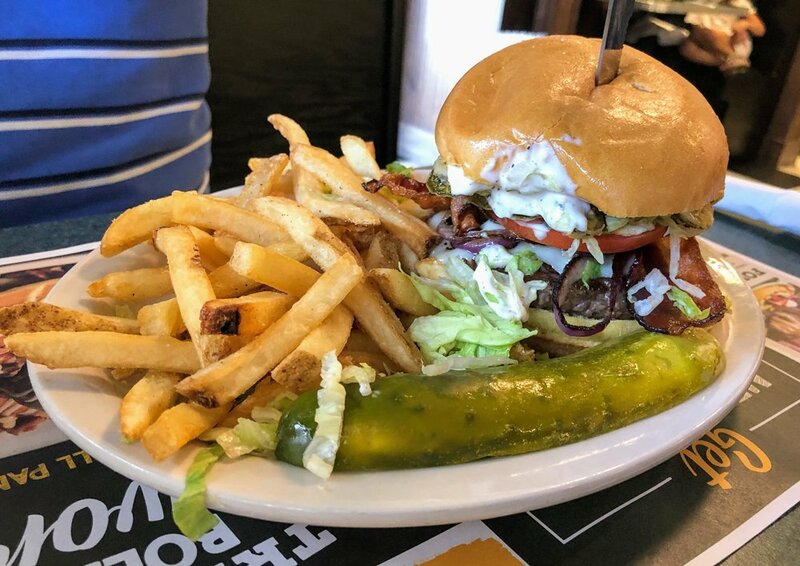 This burger is piled with cheese, caramelized onions, bacon, sausage, fried jalapenos, lettuce, tomato, and garlic aioli. It was huge, and Christopher loved it. I decided to be brave and try a blackboard special (weekly/daily special menu). 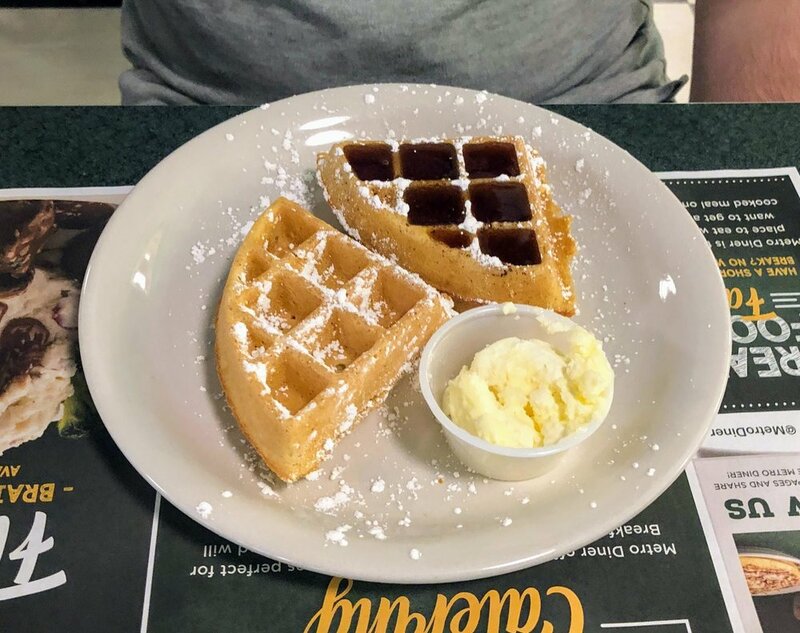 This beautiful monster is the Blueberry Cheesecake Stuffed Waffle, topped with Blueberry compote and a touch of powdered sugar. This was so very good. I feel like it’s the perfect thing to get and share with 8-10 of your friends while also eating something like an egg to balance it out. 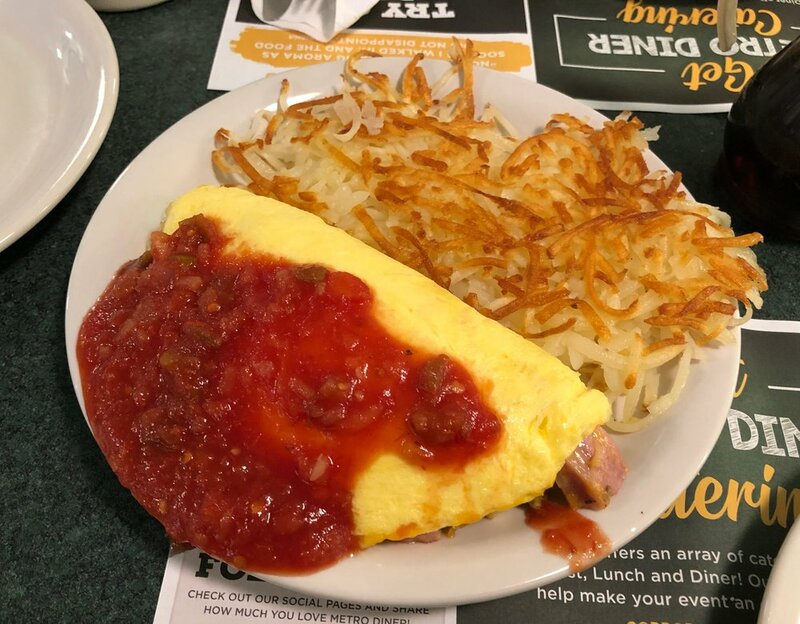 Do you live near a Metro Diner? What are your favorite menu items?